Looks like the Wests have another fan, and it is none other than United States President Donald Trump himself! 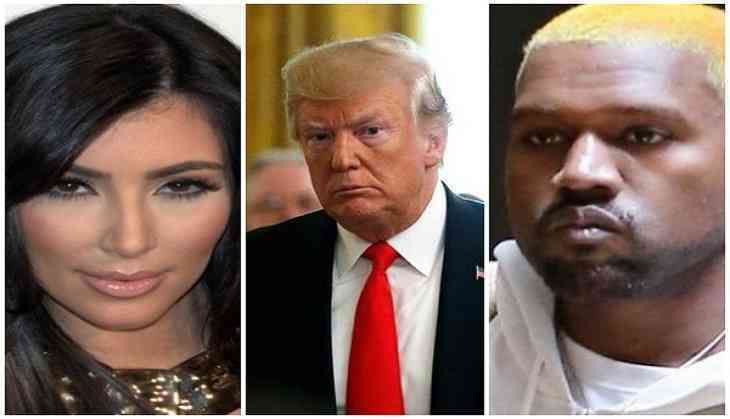 While speaking at a fundraising dinner for the Ohio Republican Party in Columbus, the US President was all praises for rapper Kanye West and his wife Kim Kardashian. "Now we're doing great and Kanye West liked me and that really lifted my- Kanye West has some real power! He's got a good wife too, in Kim, I'll tell ya. She really is," E! Online quoted Trump, as saying. In June, Trump had granted clemency to inmate Alice Johnson after Kim met with him to discuss the matter at the White House. Speaking about the same, he said, "She (Kim) did a great thing. She did a great thing. The person was in jail on a very strange thing. She was there for 22 years and it was based largely on a phone call that they were listening to and she had another 24 years, she was about 62 or 63 and I gave her a pardon."